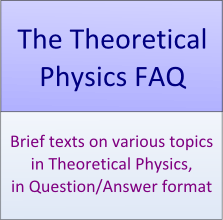 Proposal: A new, three-tier model for physics Q&A sites on StackExchange? End to end auditable voting? Is it possible to have different voting categories? Since the thread, Should we have community ads? seems to have been taken quite positively, we are rolling out the feature. 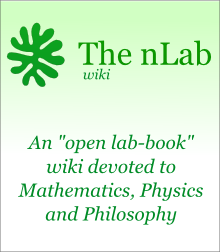 Anybody can propose an ad to be placed in the side panel of every PhysicsOverflow page (besides user pages and some other such pages which do not have a side panel). Anybody with >=500 rep can edit the ad to refine it (and those with lesser rep can suggest a better version in the comments, instead of on the edit suggestion page), but the final verdict goes to the OP (unless the edit isn’t vandalism and makes the ad comply with the guidelines below). If the OP rejects your edit or rolls it back, just propose a new ad of your own. If an ad gets a resultant score beyond a certain threshold, it will be placed in the sidepanel by an administrator. Only one ad will be displayed at a time, but the ads change periodically, with the more upvoted ads being displayed more frequently. If there are too many ads, the threshold shall be increased. If there are no ads for a long period of time, the threshold shall be decreased. The current threshold is +2. It is recommended that you adhere to the following guidelines, but it isn’t compulsory. However, if you don’t follow the guidelines, be prepared for your ad to get edited or in some cases (i.e. violation of the second guideline), even deleted. The width should be 220px. The height should be reasonable (i.e no 10px or 600px high ads). The ad should not violate any copyright. It will get deleted if it does. Light backgrounds are better whenever possible. No “Click here” and other similar phrases, please! It is recommended that you make a vector image for easy image editing, but post a raster image as the ad itself (with a comment linking to the vector image). 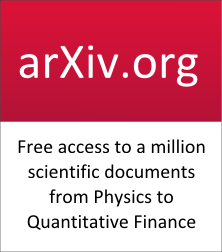 Last but certainly not the least, the ad should be useful to the PhysicsOverflow community! You can post a basic mock-up with a raster image editor like MS-Paint, but as I’ve said earlier, be prepared to get your post edited. You can post an ad for your own organisation, product, service, or site, but be warned that some users may treat it as spam and downvote it. So what are you waiting for? Post an ad below! @Dilaton I've thought of that, but it would require polarkernel to write a plugin (for the sake of accuracy). Maybe @UrsSchreiber could have something to ad to this? Thanks for the ping, would have missed this otherwise (insanely busy these days). Could you maybe say again what the question would be,exactly? If it is about what to think of the green "ad" above,here is a quick reaction: a) it looks nice, b) right now I am however not clear on what exactly it is going to be used for, c) maybe the text could be a tad more focused, for instance instead of just "related to ..." it could say "collecting information on research-level Mathematics, Physics and, yes, Philosophy"
@UrsSchreiber I was just wondering if you had any suggestions for the ad as you are one of the founders and an active contributor to the nLab. Thanks for the suggestion, I will update the ad soon. 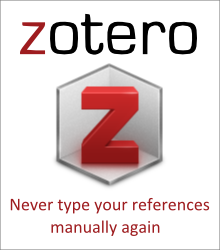 The ad is basically a little banner periodically displayed in the sidebar of the site. As mentioned in the questi9n above, it is completely free and the only intention is to tell the community about other sites, tools, services that may be useful to them. I see. I like it! I understand that this is poorly designed, so feel free to edit it. Huh, this comment got submitted blank too. For some reason, all my comments and answers get submitted blank till I edit them. Does anyone else experience this problem? 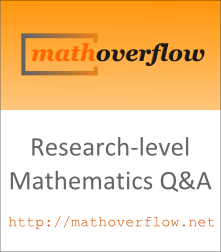 I voted it already up because I like the idea of linking to our MathOverflow friends (and the same holds for the nLab too) :-). I am not sure if we really should downvote useful ideas to link too, just because the design is not yet optimal (I know that on other physics Q&A site this is done, but to me this seems a bit an overly negative and sourballish attitude as with the design we can help each other). @Dilaton I was not suggesting that people should downvote the answer because of the design, but was just saying that improvements are welcome. I figured out what was wrong with the comments getting submitted blank. I was not being allowed to submit image-only posts (for community ads) so I changed the admin/permissions requirement for minimum post length to 0. But for some reason, that completely blanks posts, so I reverted the change. You posted the comment after the revertion. The solution to this problem is for users to simply add a short (at least 1 character) description to the images. @ArnoldNeumaier Do you have anything to add to this? No, that's fine. I was surprised! This image is taken from "Piotr Migdal" 's post on http://academia.stackexchange.com/. 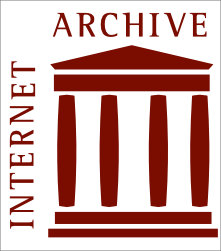 Basically my intention is to advertise "archive.org". If the image and the source-text can be improved then further edits are welcome. Please do not downvote if there is any size, background color, formatting, source-text or any other mistake. Any kind of constructive edits are welcome. @Dilaton Ok thanks, I'll add it to the rotation (after making some changes to the design). Hi, @Dimension10 and @Dilaton. I wasn't here yesterday. Since "Piotr", has not objected, I guess things are fine. Your edit is very good. Ah, didn't know that. But why is this there, not being related to physics? @ArnoldNeumaier I think it contains a number of old physics-related work too. 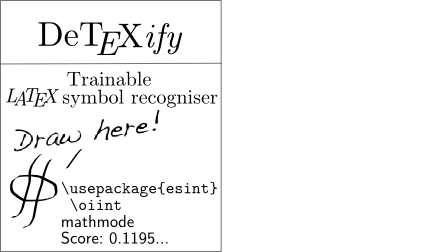 Note that training is not currently supported by Detexify. @SaddlePoint Indeed, they seem to have removed the feature, I suppose they're just planning to develop it further so I'll let the ad stay as it is for now. Nice, maybe it should also be posted on the community promotion ad thread on Academia SE? @Dilaton Sure, you have my permission, if that was what you were asking. I don't really want to post it there myself though, because I've never contributed to either Academia.SE or OpenSci.QA. @Dimension10 Ok, could you put it (in a with the new requirements on SE compatible format) somewhere such that I can just copy-past the link over there ...? Thanks, the Academia SE community promotion ad is now here and people who want to support our sister site should feel free to upvote it.